We would like to invite you and your child with special needs to join us at TOPS Soccer. Our goal is to enable your child to get some exercise, improve large motor skills, build self-esteem, meet new friends, and perhaps most importantly, have fun! 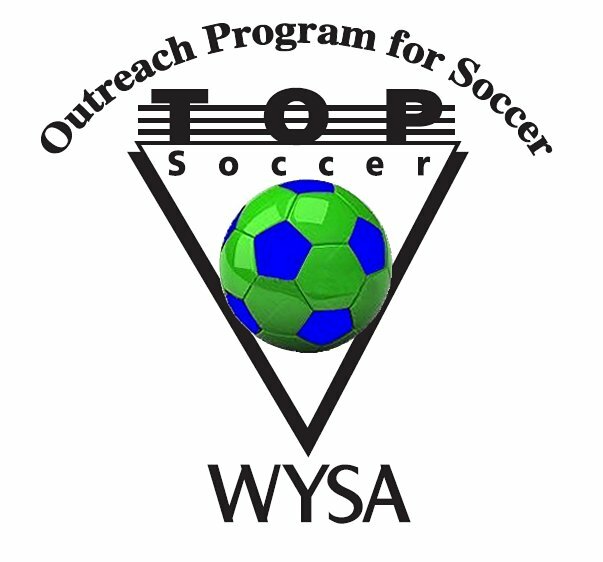 TOP Soccer, The Outreach Program for Soccer, is a non-competitive community-based program for children with special needs from the New London area who have a cognitive and/or physical disability. It is a program of US Youth Soccer, Wisconsin Youth Soccer and Fox Cities United Soccer Club. TOP Soccer is held in an indoor gym in New London. We strive to create a safe, gentle, nurturing environment for the children and their families. We usually run one winter session. Each week your child is matched with a buddy, who is a volunteer high school athlete/student, who participates with your child throughout the session. This one-on-one attention allows the program to be individualized to your child’s ability. Activities include warm up, tossing the ball, passing, kicking the ball into a soft net, other simple soccer skills, parachute games and even a few songs. Games are played in the last portion of the hour with each player having the opportunity to score a goal and share high fives with buddies, coaches and teammates. Children participate as they are able, or their buddy will engage them in another activity. Young siblings are always welcome to join in and parents are encouraged to cheer for their athletes. Some parents also find this a nice time to share with other parents.